Strap a GPS to his chest and drop your boy off in the middle of the woods in his Columbia Tagori Little Boys Shoes. He wont get lost for lack of quality footwear. 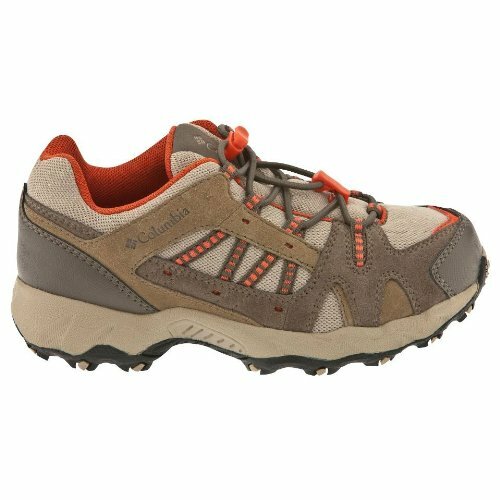 This trail shoes nylon shank will provide torsional rigidity for his feet while he scrambles over ridges and climbs trees to look for landmarks. The removable EVA footbeds mean he can pop them out so they dry quicker after he wades through two streams on his way home. The non-marking Omni-Grip outsoles offer solid traction when you send him out to shovel the driveway after he makes it home.